Four Chinese tourists who became lost during a trip in the southwestern Norwegian mountains were rescued on Friday night last week following police-coordinated operation. Rogaland Police District chief operation officer Charles Boegild confirmed that all four tourists, including a young child, were in good health. He did not reveal their identities or relationship. The hotel in Stavanger where the holidaymakers were staying alerted police at around 8pm last week on Friday night they had become lost after one of them called to say they had become disorientated in the dark. A Sea King helicopter that was initially part of the operation had to withdraw because weather conditions got so bad. 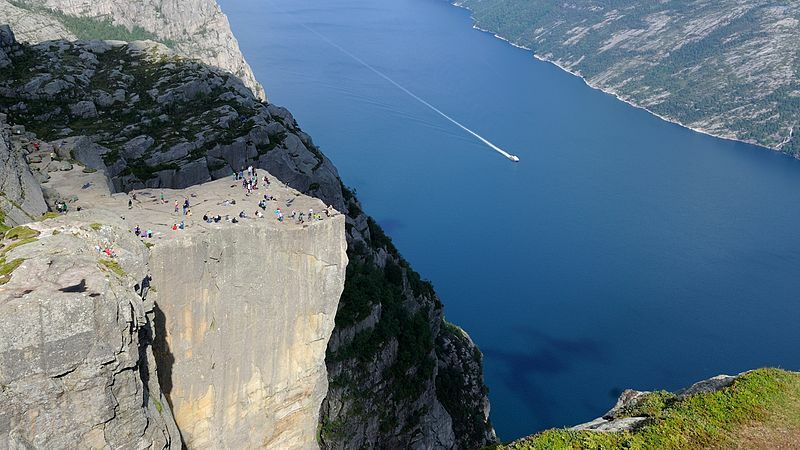 The tourists were told to remain calm until the rescue team, which included search teams from the Norwegian People’s Aid as well as local volunteers, was able to locate them. Rescuers eventually managed to locate the stranded people at around 10pm. Just three months ago, a Chinese student was rescued in the same area after taking a similar trip. Boegild said that two incidents in such a short space of time is “too frequent”. He warned that it was dangerous to attempt such a trip when weather conditions are so bad and also a bad idea in winter when darkness falls so early in the afternoon and visibility becomes so poor. He added that taking a young child on this kind of trip is also “unwise”.